I remember the first time I read a book that described different personality types. I was a teenager and thought no one in the world was quite like me and then I found myself described in the pages of that book. Weird and such a relief, actually. We have a high need to feel competent and appear competent to others. We will avoid doing something if we fear we will not be competent. We need privacy. We value privacy. We crave privacy. To feel sane, we need a lot of time alone. We dislike social chit-chat (and we’re not always very good at it) so it can be hard to get to know us but we like deep conversations. We are independent, logical, critical, focused and quick. We are accused of being unemotional and can seem insensitive. We’re original and creative thinkers. We love to learn. We’re often voracious readers. We’re analytical. We like to think. We are perfectionists and might seem arrogant. We value truth, knowledge, competence and autonomy. We’re good problem-solvers and we’re really into efficiency. You might find our humor dry and sarcastic. Our core traits are logic, stoicism, and scientific thinking. So, what about you? What’s your personality type? 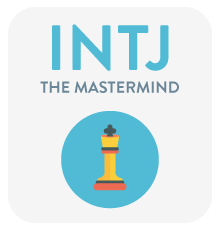 I am an INTJ. Married to an ENFP. This test said I am ISFP. Do you see me that way? All I know is – my answers to most of the questions was NO. I am an INTJ. Description is just like me. Infp, on the test I took. Not sure how reliable they are, but results did describe me.